Misfit Flash is compatible with iPhone 4S/5/5C/5S/6/6 Plus, iPod Touch 5th Gen and above, iPad 3/4/Air/Mini (all running iOS 6.13 and above), Samsung Galaxy S4/Note 3, Google Nexus 4/5 (Or other BLE ready Android devices running software 4.3 and above) and BLE ready Windows Phone running software 8.1 and above. 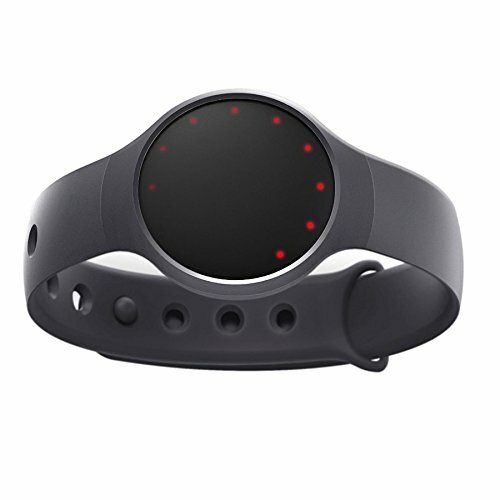 The Misfit Flash is powered by a replaceable battery, found in quartz watches. Misfit recommends replacing it with a Panasonic CR2032 3V Lithium Coin Battery; other coin batteries may not be compatible. For battery installation, refer to the User Manual and view the battery installation video. To sync the Misfit Flash, download and open our Misfit app in the App Store on iOS, Google Play on Android and turn on Bluetooth. If the sync fails, you can reset the Shine by removing and reinserting the battery or turn off and back on the Bluetooth under your device settings or simply restarting your mobile device. Why should I buy my Misfit Flash from Amazon?